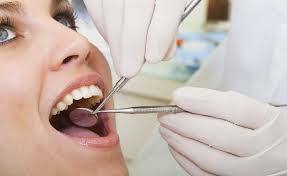 We here at Create-a-Smile are sure you will enjoy the dentistry you have received from our office for many years. Because we are confident that our office provides you with the best dental treatment available, we honor our crowns, bridges, inlays, and onlays for a period of three years. Under our commitment, if it becomes necessary, we will redo, replace, or repair them at no charge. This is our commitment to you and your dental health. For this commitment to remain valid, you must complete your diagnosed treatment and keep your 3-,4-,or 6-month hygiene appointments, along with any prescribed fluoride treatments for the same 3-year period. Also, if a mouth guard is prescribed by the doctor you must commit to following the prescribed instructions in order to protect your warranty. Failure to commit will result in declining our commitment. This is your commitment to your dental health and to us. Create-a-Smile, your local Bloomington family, general, cosmetic dentists.